Nikian Aghababaie, 22, wanted to create a product that had the long-term potential to alleviate hunger, malnutrition and poverty across developing nations. A student is using NASA technology to grow vegetables without soil and using minimal water, in a bid to alleviate hunger and provide an alternative source of income for communities across developing nations. 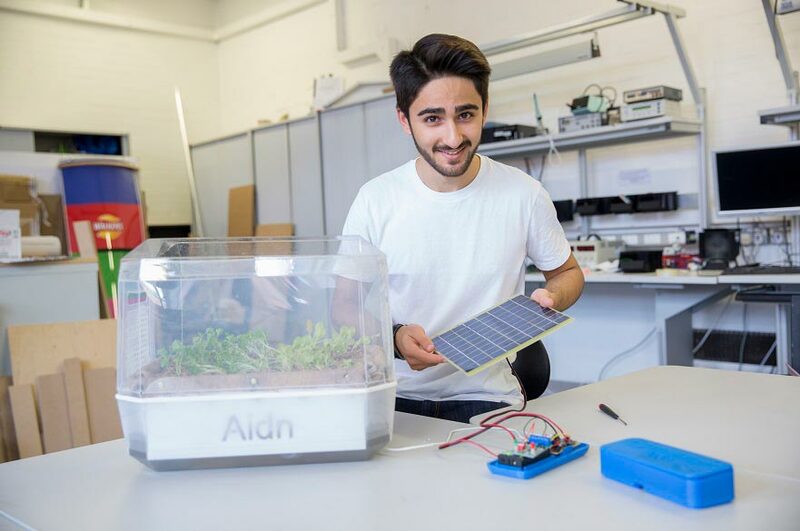 Nikian Aghababaie, a BSc Product Design student at Nottingham Trent University, has created a low cost growing kit that allows families with little resources in harsh climates to cultivate vegetables using 90% less water than traditional methods. The technology works by suspending seedlings or cuttings from plants or vegetables mid-air in a growing chamber. Mostly made from local materials, the roots are sprayed regularly with a diluted nutrient solution through pierced recycled plastic water bottles, allowing for increased oxygen circulation around the roots promoting rapid growth. Nikian, 22, came up with the idea after wanting to create something with the long-term potential to alleviate hunger, malnutrition and poverty across developing nations. He said: “It was important to me to design an affordable product which communities can make themselves, maintain and adopt. NASA uses a complex version of the technology at the International Space Station so astronauts can grow fruit and vegetables in space. Nikian, of London, teamed up with EcoSwell, a charity based in the Lobitos District of Peru, to see how the community interacted with his prototype and to empower the locals to grow their own food. Nikian, a fourth-year student in the School of Architecture, Design and the Built Environment, said: “One of the advantages of using the growth kit is that it will enable communities to grow a variety vegetables quickly and easily. Using locally sourced seaweed, Nikian has designed his product with instructions so people can make the nutrient solution themselves. He is currently working with a local school teacher in Lobitos to introduce the technology to young children, with the aim to inspire about the future of agriculture in combination with technology. He is also working on adapting the system for larger scale productions. 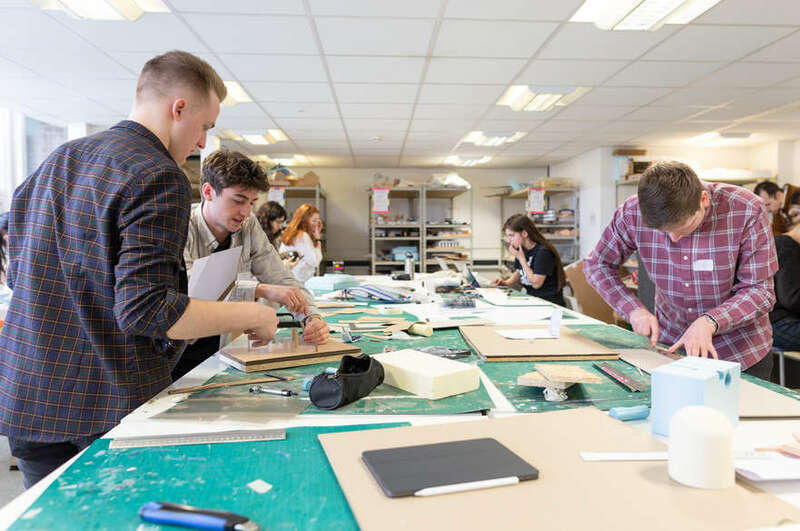 Dr Matthew Watkins, course leader for BSc product design at Nottingham Trent University, said: “Nikian has shown how complex technology can be simplified and adapted into an appropriate and affordable product that can help people in developing countries alleviate hunger and malnutrition. Nikian will be presenting in the New Designers in London this summer.